Heppiella is a genus of four species found in Peru and and Western Venezuela. It grows on damp and mossy rocks, occasionally at the base of trees. The species are herbaceous but somewhat shrubby. 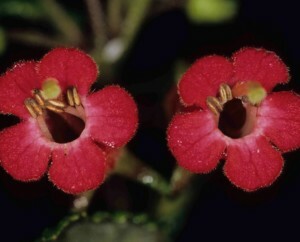 Flowers are mostly reddish, and bird pollinated. It is not in wide cultivation.